Once again, Syrian civilians were attacked with banned chemical weapons, resulting in the death of an estimated 40 people and many more injured. President Trump condemned these heinous acts, stating that blood is on the hands of Russia and Iran for backing the Assad regime. 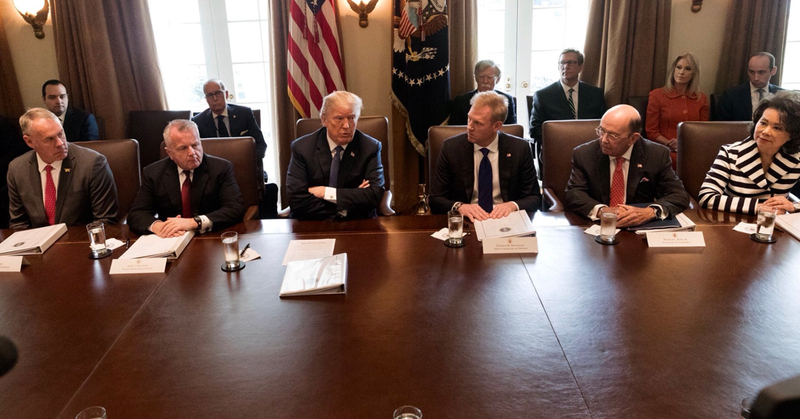 The President has stated that the Syrian government will pay a “big price.” After consulting his military leaders this week, the President is directing an appropriate response to this atrocity. For decades, past Administrations agreed to bad trade deals. President Trump won’t let other countries take advantage of the United States. 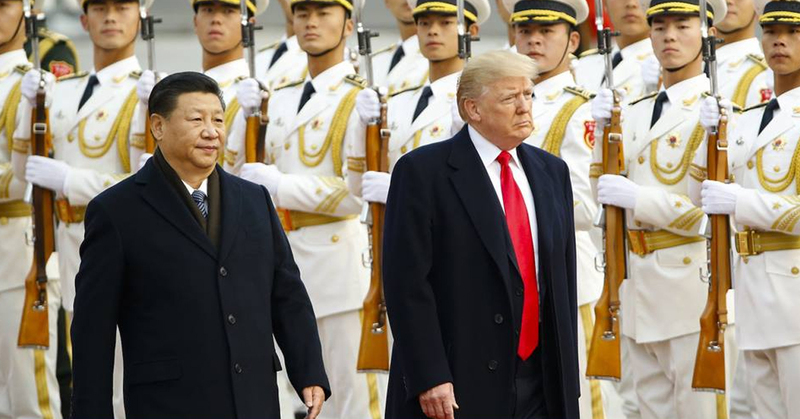 Since President Trump announced tariffs on China earlier this month, President Xi of China signaled a willingness to open Chinese markets and impose lower tariffs on American products. Xi also pledged to cut Chinese auto tariffs, to allow competition in banking, and to improve protections of U.S. intellectual property. President Trump is putting America First by encouraging our trading partners, like China, to ink fair and recporical trade deals. We won’t be taken advantage of any more thanks to President Trump. deploying the National Guard to the southern border, and he also signed a Presidential Memorandum this week to end “Catch and Release,” a policy of the last administration resulting in an influx of illegal aliens into our country. 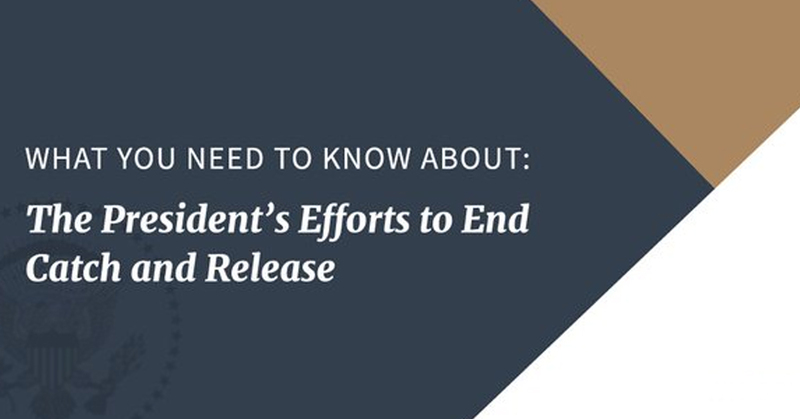 Ending “Catch and Release” is another step President Trump is taking to block the flow of violent criminals and drugs across our border, fulfilling his pledge to Make America Safe Again. 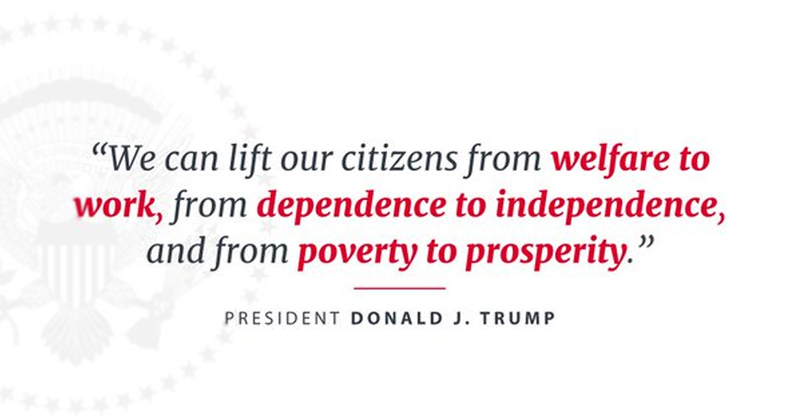 Welfare programs in the United States have delayed economic independence, perpetuated poverty, and weakened our cherished family bonds. In an effort to stop the entrapment of individuals into poverty, the President signed an Executive Order. This order creates work requirements for able-bodied adults on welfare to end a record-high welfare enrollment, despite near-record low unemployment. Thanks to President Trump, dignity through productivity is making a comeback.